“…Children seldom keep on lining up in order during their school trip. They always block the passage in the station, and I, who am bringing a white walking stick, am often caught into the crowd. The children don’t care a bit about me, who am an intruder to their territory, but their teachers spot me and scold them saying, “Move to the right!” to clear the aisle. One fifth of teachers, however, add this, “What are you looking at?! Don’t stare at the person! Don’t stare at the person!” That’s the saddest moment for me. I can’t see, but I can hear. Am I dirty to look at? Am I something looked away? 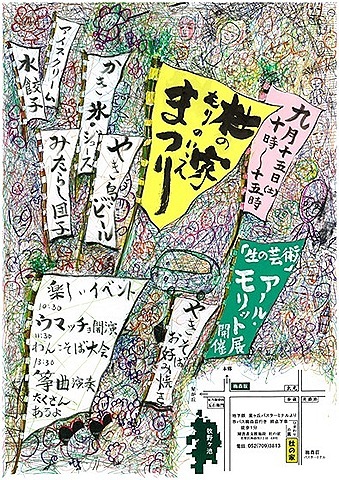 That’s a part of “Ikari-no-Kawada-san” written by Ryuichi Kawada, who is a visually impaired person. As he says, disabled children are separately educated from non-disabled children in Japan. Actually this “separation” continues after they graduate from their schools. 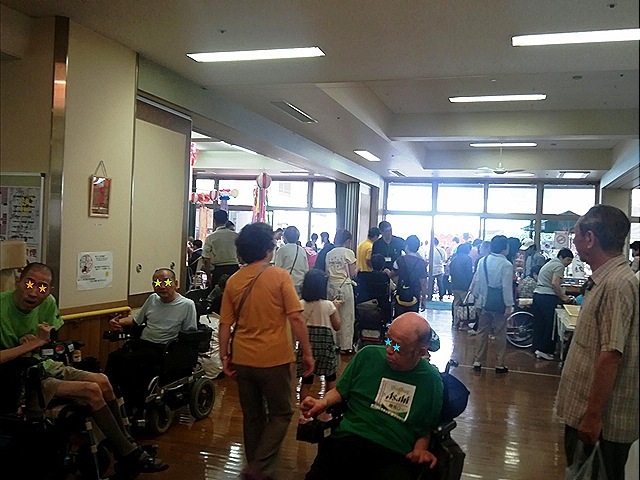 The disabilities and the non-disabilities seldom interact in Japan. They live in their own societies even though they live in the same country. I myself hardly ever meet challenged people in my daily life in spite of having many facilities for the handicapped nearby. But I had an opportunity to visit one of them lately. 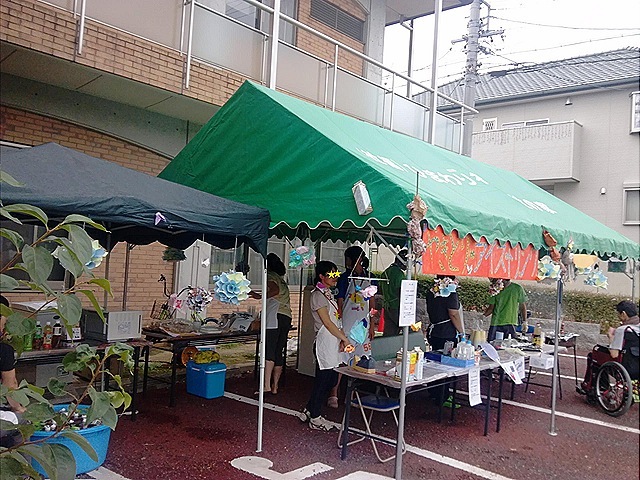 There was a festival in one of those facilities in my neighborhood on 17th. 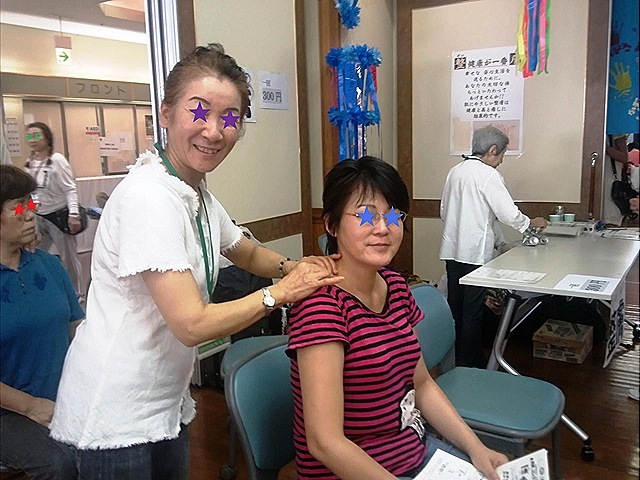 The facility named “Mori-no-Ie” is an ambulatory care center for physical disabled people. One of my friends takes part in volunteer activities there once a week. She had told me about the event, and we joined the festival together. 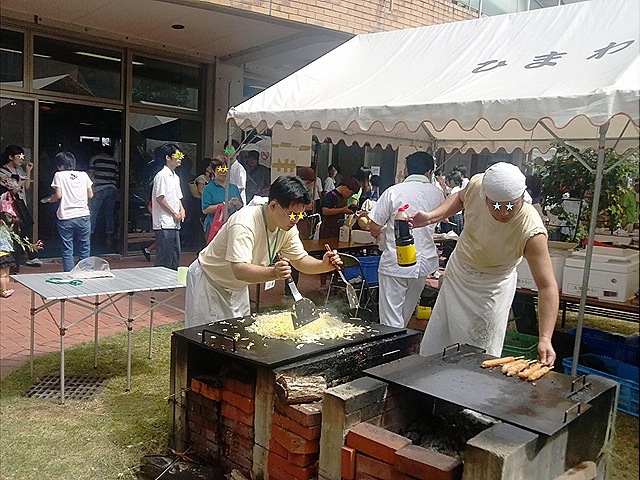 At the event there were many booths and corners where many things and foods were sold and different exhibitions were held. The friend and I had a hand massage and seifu treatment first (Seifu is a kind of massage). 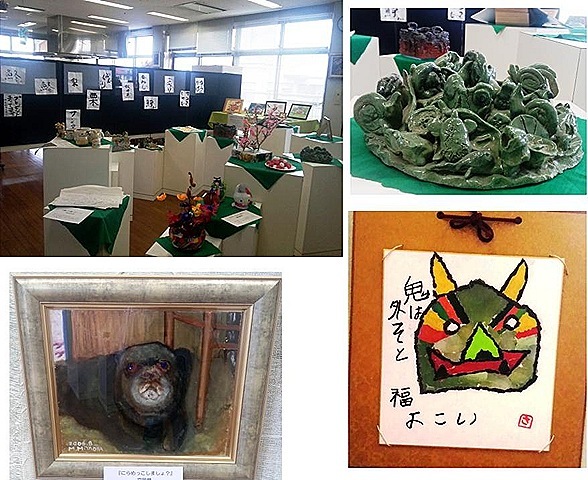 We looked at exhibits created by some care-receivers such as paintings and ceramics then. All of them were very artistic and many have great sense of humors. We saw two men cooking in the inner court. We know one of them. He is a cook at a café nearby. Actually the café is run by the same company of the facilities for physical disabled people. He was frying noodles in a swelter. We bought a pack of the fried noodles each and some dumplings for lunch. And then we ate ice cream because my friend’s activity group was selling ice cream outside. After lunch, we went to see the concert of koto, or Japanese harps, and shamisen, or Japanese three stringed banjos, upstairs. 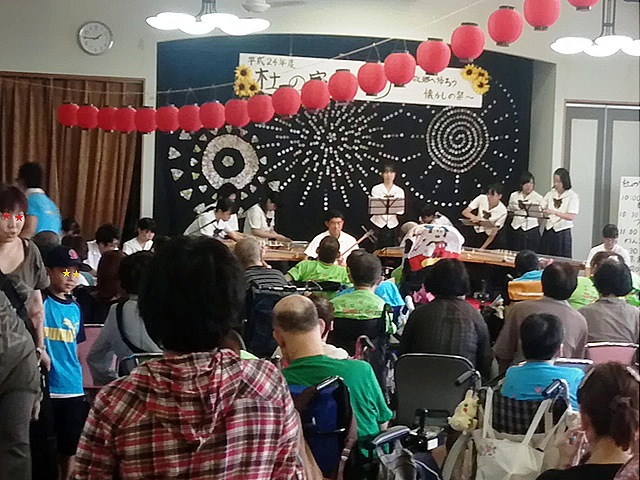 The performers were students of Kikuka High School. Their music was wonderful. I had a great time with both of the disabilities and the non-disabilities at the care center. I hope the day when there is no discrimination against challenged people and no “separation” between disabled people and non-disabled ones will come someday soon in this country.